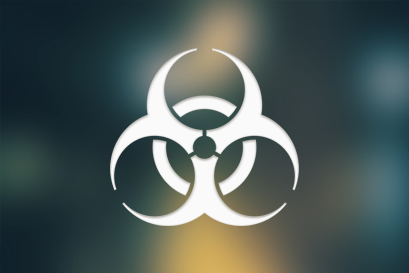 A bio-terrorism attack is the deliberate release of viruses, bacteria, or other germs (agents) used to cause illness or death in people, animals, or plants. These agents are typically found in nature, but it is possible that they could be changed to increase their ability to cause disease, make them resistant to current medicines, or to increase their ability to be spread into the environment. Biological agents can be spread through the air, through water, or in food. Terrorists may use biological agents because they can be extremely difficult to detect and do not cause illness for several hours to several days. Some bioterrorism agents, like the smallpox virus, can be spread from person to person and some, like anthrax, cannot. For more information, visit the Center for Disease Control and Prevention Bioterrorism website. There are many different types of chemical terrorism, but our lab can test for ricin only. Ricin is a poison found naturally in castor beans. If castor beans are chewed and swallowed, the released ricin can cause injury. Ricin can be made from the waste material left over from processing castor beans. It can be in the form of a powder, a mist, or a pellet or it can be dissolved in water or weak acid. It is a stable substance under normal conditions, but can be inactivated by heat above 80 degrees Centigrade. Castor beans are processed throughout the world to make castor oil. Ricin is part of the waste “mash” produced when castor oil is made. Ricin has been used experimentally in medicine to kill cancer cells. It would take a deliberate act to make ricin and use it to poison people. Accidental exposure to ricin is highly unlikely, except through the ingestion of castor beans. If made into a partially purified material or refined into a terrorist or warfare agent, ricin could be used to expose people through the air, food, or water. The major symptoms of ricin poisoning depend on the route of exposure and the dose received, though many organs may be affected in severe cases. Initial symptoms of ricin poisoning by inhalation may occur within 8 hours of exposure. Following ingestion of ricin, initial symptoms typically occur in less than six (6) hours. For more information visit the Centers for Disease Control Emergency Preparedness and Response – Facts About Ricin and Chemical Emergencies Overview. Public Health Microbiologists are on duty and will contact you within minutes.